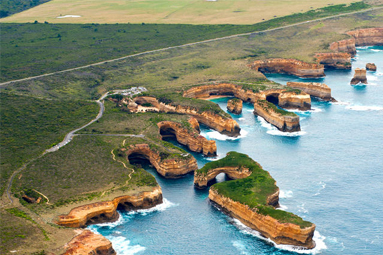 Immerse yourself in the beauty of Tasmania's east coast on this attraction-packed drive. Sea kayak and hunt down history on Maria Island, sample farm-fresh berries and wine near Swansea and take in the perfect contours of Wineglass Bay in Freycinet National Park. Stop in Bicheno, where you can cling to the coastline on a motorised trike ride or see fairy penguins waddle home at dusk. Bushwalk in the rainforest of Douglas-Apsley National Park and game fish or dive from the picturesque port of St Helens Park. Swim in the calm, clear waters of Binnalong Bay and follow the Bay of Fires walk past Aboriginal middens, woodlands and powder-white beaches. Finish your journey in a remote eco-lodge with soul-stirring ocean views.